Aren't all Realtors the same? That may be the perception of many, but the truth is there is a big difference in skill levels and the services provided by Realtors and knowing the difference could save you thousands. We wrote an article on this over on our Fort Myers Real Estate and Homes For Sale Blog about how choosing the wrong Realtor could cost you thousands when selling your home. Sellers are happy to learn that hiring the Ellis Team at RE/MAX actually puts more money in their pocket at closing. There are three main reasons why we're able to do this. The first is marketing. 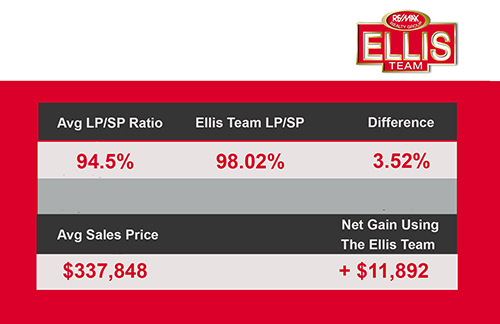 Nobody markets the way the Ellis Team does, We'll be happy to sit down and show you and we think you'll see the difference pretty quickly. Secondly, negotiation is huge. When you ask an agent how they're a better negotiator you might want a better answer than to just say the price is firm. Ask Sande or Brett how they negotiate on your behalf. Next is the Secret Sauce. 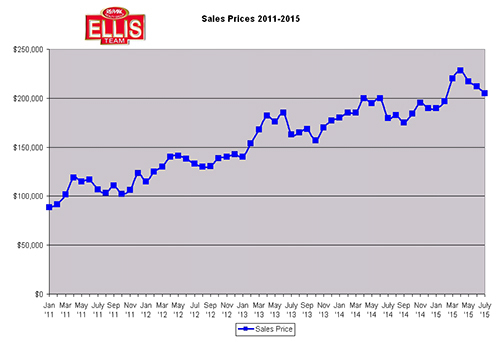 The Ellis Team has been selling real estate for many years, and with that comes experience. We talk to the top agents around the country and identify what works and what doesn't. We've created a system so effective and unique you really need to see it. Call Sande or Brett for an interview and we'll be glad to show you how we can sell your home for Top Dollar and sell it faster. We can't tell you the Secret Sauce, but we can get your home sold and you into your next home. Official sales prices should be released later today on sales prices for the SW Florida real estate market. This is encouraging news for sellers. The complete article on SW Florida Real Estate Price Gains can be found here. 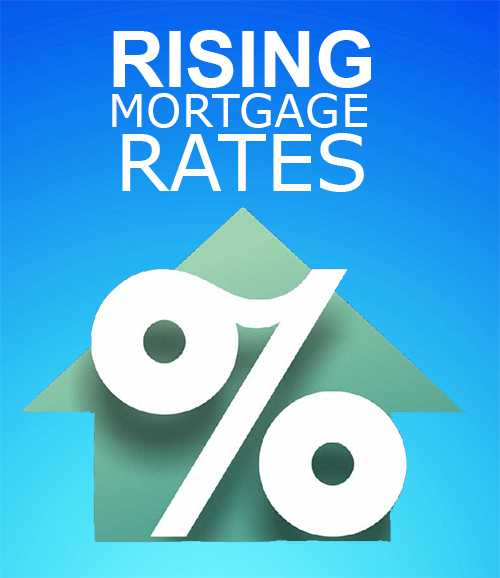 Inventory levels have been low and with high demand and low interest rates we can't really see an end to these prices. We have end users. The single family home inventory levels are tight and the rental market is even tighter, so buyers and renters have few choices. We've been hard at work adding SW Florida property search updates. We're adding more pages and areas all the time so check back often. Of course you can setup your own searches. If you have any troubles we're always here to help. We'll begin working on updating our Estero page and adding more communities. If you'd like to see your community added simply comment and we'll work on getting that added as soon as possible. Keep in mind even if your community isn't added yet you can search for any community and save your search. The system will alert you of any new listing that enter the market in that search and of any price changes. It's an excellent way to keep up on things in your area. You can setup multiple searches too in case you're thinking about buying on one area and maybe selling in another, or perhaps you have your eye on 3 or 4 different areas and you want to separate the searches. We also added several waterfront high rise condominium pages as well. We'll be adding gated community pages, golf course communities, and general information on each community in the coming days. It's quite a project but it's coming along nicely. If you have a community you'd like featured here let us know. Of course you can search for any community on our main search site www.LeeCountyOnline.com but we're trying to make your searches easier. Leave a comment and send us your feedback. Don't forget to check out our latest Blog post of dips in inventory over on our Main Blog. Here are some stories that caught our eye or will impact real estate buyers and sellers. Gulf Coast Hospital expanison is expected to be completed by 2020 and will double the size of the current hospital. This could have an impact on the Daniels Corridor real estate market. Leecountyonline.com is our new real estate search site for SW Florida. Our official Lee County Real Estate Blog is hosted on another Blog. We haven't decided whether to post regularly over here or keep the official markets stats and news article over on our other established Blog. Since www.leecountyonline.com is primarily a home and condo search site and neighborhood resource we may post neighborhood news and MLS type information over here, so you may wish to bookmark our other site to keep up to date on overall market statistics for the Lee County real estate market.